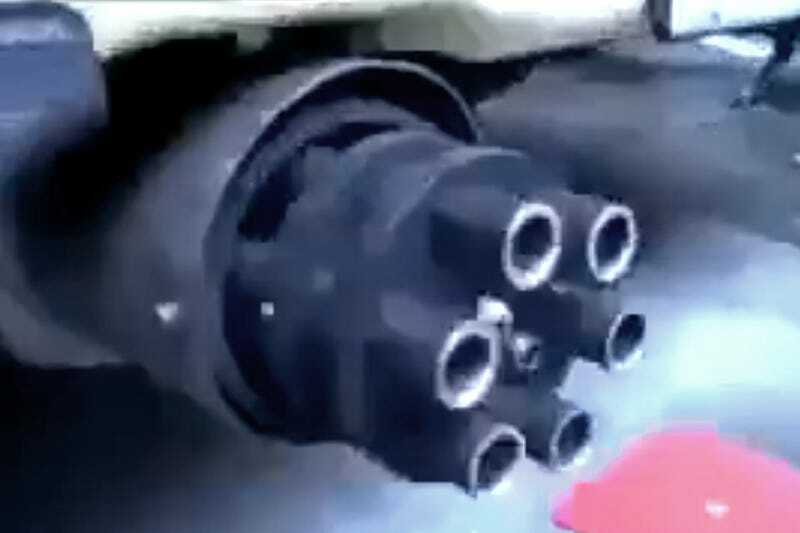 This Gatling Gun Car Exhaust Is Terrifyingly Strange! This spinning gatling gun car exhaust is pretty damn wild, and it would be a great addition to anyone's ride who happens to have a thing for rotary high-volume of fire weapons, such as the Minigun, Vulcan, Pave Claw, or Avenger cannons. But having and seeing are two different things, as I am not sure how I would feel pulling up behind it at a stoplight!